TGIF! Anyone else looking forward to the weekend? Me too!! Today I want to share one of my husband’s favorite gadgets of all time. It’s called a Zoku Ice Mold. Once you see it, you’ll want some too! The ice molds are so easy to use. The two halves of the mold snap together and the top has a small hole where you can fill it with water. Once the water is frozen, you unsnap the top half and the bottom half is a pliable latex and you can push the ice ball right out! One Zoku Ice ball fits perfectly in a high ball glass. Because the ice ball is large it melts slowly and doesn’t dilute your drink too quickly. And from watching my husband, it must be fun to roll the ice ball around in the glass. 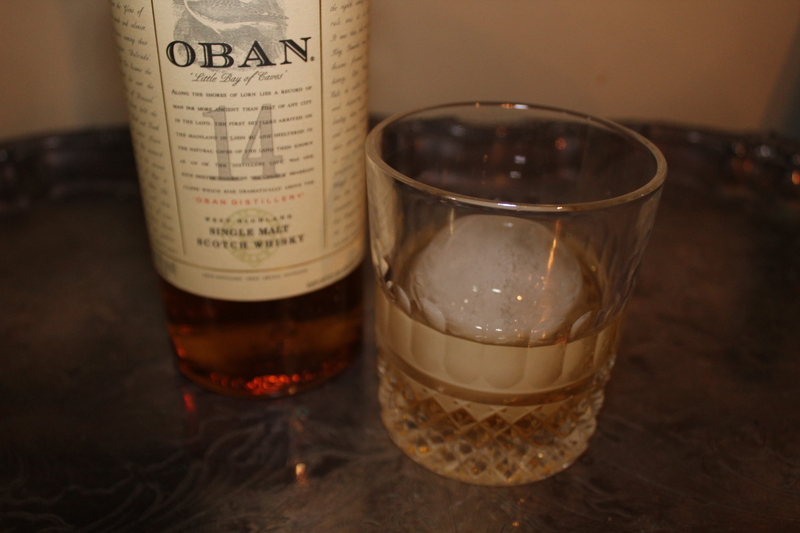 Tip: My husband and Dad highly recommend Oban Single Malt Scotch Whisky. The molds stack on top of each other saving space in the freezer. If you have a group of people coming you can make a bunch of ice balls in advance and store them in a container in the freezer. This way you’ll have plenty on hand for everyone! Our boys share their Father’s taste in fine whisky so we got each of them a set of the Zoku Ice Molds one year for Christmas. RSVP? What does it stand for?